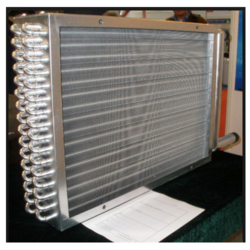 We are offering a wide range of condenser coils that are basically the aluminum coils that surrounds the conditioning compressor. These coils are designed and manufactured using high grade raw materials and in accordance with set industrial standards. we are offering these coils at market leading prices. Steam Distributing (Non-Freeze) coil: Ideal to handle low-pressure steam. Standard Steam coil: Designed to handle large amounts of steady steam. Looking for Condenser Coils ?